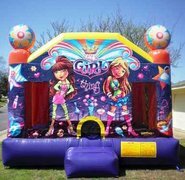 NICO Moonwalks, Inc. (Neighborhood Inflatables Company, Inc.) is a local, family-owned and operated party rental business. We are a reliable, dedicated company that wants to see your next event a success! Customer service is our number one goal. From making reservations to delivery of our product, you will be treated professionally by our friendly staff. We guarantee personal attention to help you plan the best party or event possible! 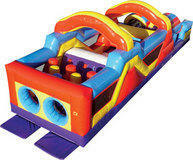 NICO is licensed and insured to guarantee that we can serve all of your party needs. 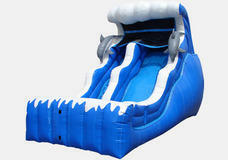 Our inflatables are commercially built and meet tough industry standards. All of our equipment is cleaned, sanitized, and maintained on a weekly basis. Our delivery team is prompt, professional, and eager to serve you! Our staff is available 7 days a week, from 9 a.m. to 9 p.m. to answer all of your questions. 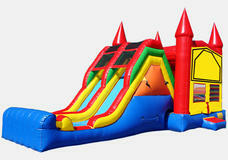 With one call, NICO Moonwalks, Inc. will help make your next event a spectacular success!